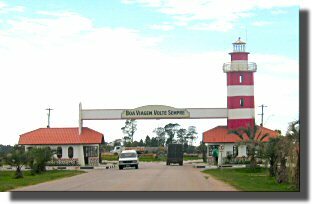 We are currently parked at Punta del Diablo in Uruguay having crossed the border from Brazil at Chui/Chuy. An interesting border. About 2km before the town of Chui you arrive at Brazilian Customs. They record the export of your vehicle from Brazil (and if you are unlucky, the export of your camera, computer, radio, GPS, cell phone etc.). Customs then explain that Immigration (the Departamento de Policia Federal - D.P.F) has moved from the office next door to the town of Santa Vitoria do Palmar (20km back the way you have just come!). Customs agree that this is inconvenient, and that there are no signs on the road, and that every foreigner crossing the border has to make a 40km detour just to get their passport stamped out of Brazil! Customs even give you map showing where Immigration have hidden themselves. The border runs down the middle of the high street of Chui/Chuy. The shops on one side are Brazilian (Chui) and charge in Reais (but take Pesos or US$). The shops on the other side are Ururguayan (Chuy) and charge in Pesos (but take Reais or US$). When you leave Chuy heading into Uruguay you soon arrive at Ururguayan Customs and Immigration (thankfully in one building). Here there are signs in English saying you may not take butter, milk, eggs or meat into Uruguay. Although customs officers looked in our fridge and saw all four offending items, they made no comment. A few kilometers down the road is a second customs check point. Here all they did was to enquire if we had been properly stamped out of Brazil! Very odd. Our first stop in Uruguay was at the beautifully restored and immaculately maintained Fortaleza de Santa Teresa (1762). Definitely worth a visit. 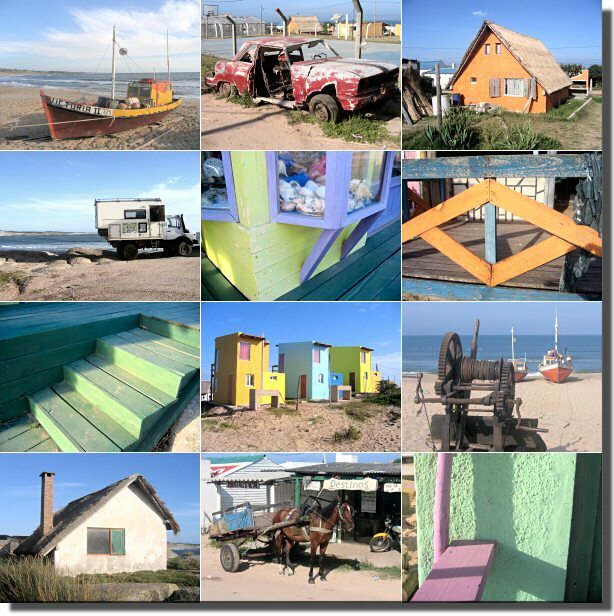 Our first night in Uruguay has been spent at the delightfully haphazard fishing village of Punta del Diablo . Although there are clearly a lot of tourists here in season, it still is a fishing village at heart. We camped right on the beach at the end of the road (S34.045205 W53.535927). Ann went swimming! 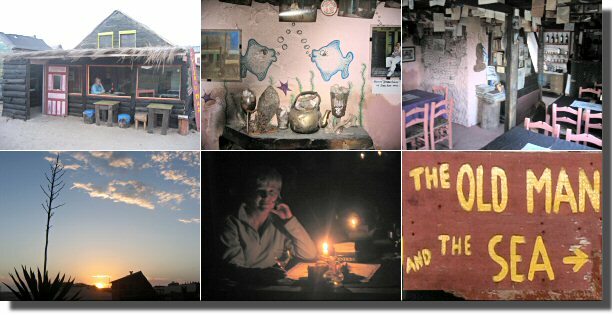 If you make it to Punta del Diablo (and you should) then you must eat at the Old Man and the Sea. No electricity, no menu, no credit cards, no reservations. Just one of the best meals we have had in South America for the price of a Big Mac in the UK. Say hi to Ernesto and Pampita (the dog). The apple crepes were divine! Home - This page last changed on 2006-11-25.